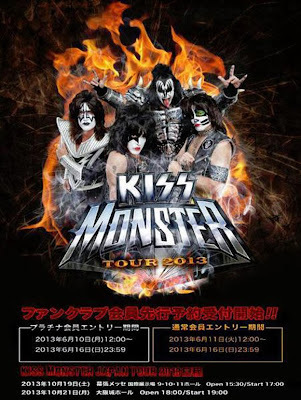 KISS has just completed day two of rehearsals for Japan/KISS Kruise/Calgary shows at SIR rehearsal studios in L.A. The KISS Kruise III sets sail on October 28 – November 1st, sailing on the Norwegian Pearl from Miami to Key West Great Stirrup Cay. KISS returns to Canada to play Calgary, Alberta on November 8th.